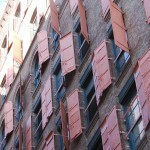 Home » Blog » Is the future of the Department store doomed? Myer and David Jones Good bye!!! “………Reducing property costs is obviously crucial when you are fighting, like Paul Zahra and Bernie Brookes” for survival. How many times have we read articles similar to this one by James Thomson from Business Spectator 20 September 2012? To a degree they are all true but perhaps we should consider that not only have retailers not kept up with consumer shopping requirements for lower prices but that they may also not have kept up with the shoppers understanding of and expectations for the shopping environments that the shoppers have been presented with. Perhaps today’s shopper wants more than just a place to shop that is cheap. Yes they can get that on-line and delivered to their door! Perhaps they want to gain more of an experience from shopping and that they don’t just want merchandise continually shoved down their throats. Perhaps they want to be able to enjoy the architecture and the environments that many retail outlets are housed in and, dare I suggest it, they may even want to look out the windows of some of these buildings. The retailers love to cover up the windows in fear that the shopper may see something other than what they want to sell. Perhaps if the environments created were more conducive for shoppers to stay then perhaps they would spend more money? Many shopping centre developers have embraced this and gained an understanding of the importance of creating an environment that is enjoyable to be in, environmentally friendly, spacious, light filled and sometimes even open to the sky. It is now time for the Department Store retailers to look outside the box and to be a little more flexible and brave so that they can create the impression that they are giving something back to the shopper other than just cheap prices, or expensive prices for that matter. Lets face it a retail rent will always be a lot higher than a warehouse in an industrial estate or in a third world country. Encourage shoppers to come to your stores or indeed you may find it difficult to remain a player in the retail world. This entry was posted on Thursday, September 20th, 2012 at 6:30 pm	and is filed under Blog. You can follow any responses to this entry through the RSS 2.0 feed. Both comments and pings are currently closed.